Most visitors will need to stop at a gatehouse to purchase a permit before parking. Staff can also help with directions or explaining your parking options. Gatehouses are open Monday to Friday, 6 a.m. to 9 p.m., and on Saturdays from 7 a.m. until noon. 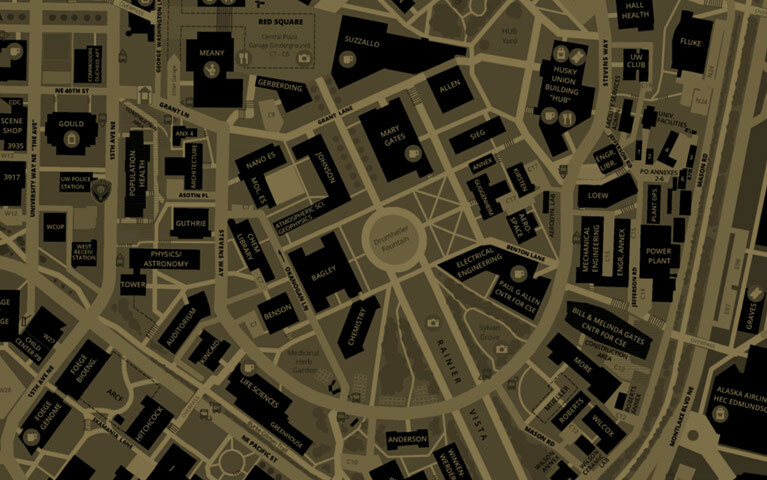 View gatehouses on the interactive campus map (select the Gatehouses layer). March 25-29, closed at 5 p.m.
June 17-21, closed at 5 p.m.
Sept. 9 - 13, closed at 5 p.m.
Nov. 27, closed at 5 p.m.
Dec. 16-20, closed at 5 p.m.
Dec. 24, closed at 5 p.m. The North gatehouse is located at NE 45th Street and Memorial Way (17th Avenue Northeast) by the Burke Museum. View the North gatehouse on the interactive campus map. The West gatehouse is located at 15th Avenue Northeast and Stevens Way by Meany Hall. View the West gatehouse on the interactive campus map. The East gatehouse is located on Pend Oreille Road, off of 25th Avenue Northeast, near University Village Shopping Center. View the East gatehouse on the interactive campus map. The South gatehouse is located on Columbia Road, behind the University of Washington Medical Center. View the South gatehouse on the interactive campus map. The Central Plaza Garage gatehouse is located at 15th Avenue Northeast and Northeast 41st Street, underground in the Central Plaza Garage. 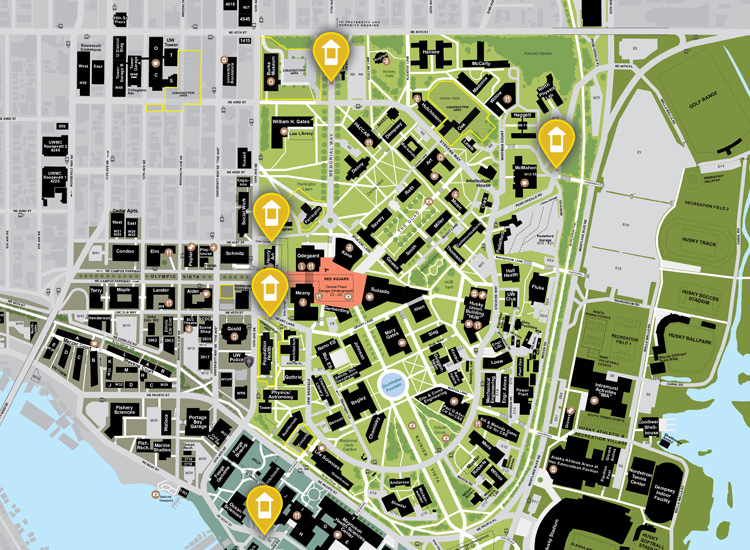 View the Central Plaza Garage gatehouse on the interactive campus map.